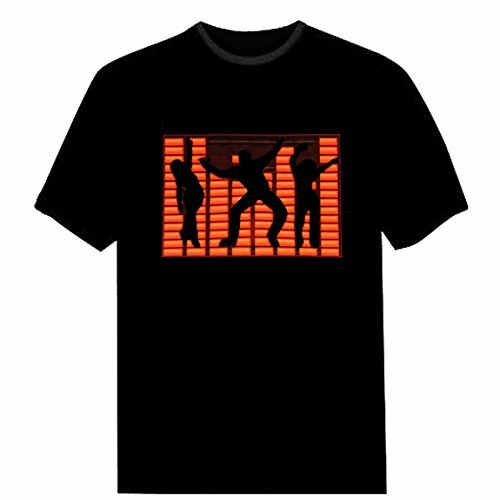 The Electro Luminescence panel that has been incorporated into the design of the EL shirts makes it an incredibly unique product, one that any music-lover can appreciate. It only takes 4 batteries to operate the sound panel and the battery pack is detachable, so the consumer can choose whether or not to utilize the LED function of the shirts. For as fashionable as this shirts is and as innovative as its technological designs are, this shirts is both easy to operate and fun to wear. With a simple slide switch the wearer can turn the EL panel on and off and it can be easily removed for washing. It seems like every day a new and exciting design becomes available. But unlike some of the outrageous looks sweeping the runway in Hollywood, the LED EL shirts is a look that can be worn and appreciated by any consumer. With a built-in equalizer and LED display, the LED EL shirts transforms a night at the club into an audio-visual performance. 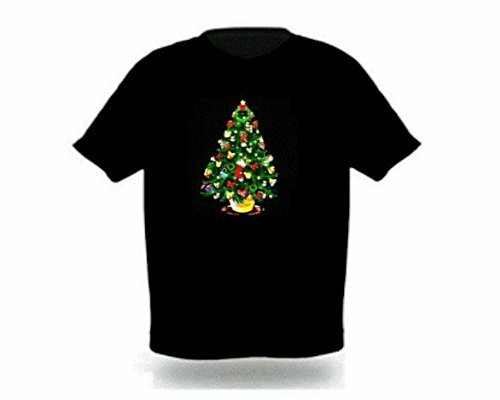 Fashion fans and music fans no longer need to be divided – both can be satisfied with the inventive juxtaposition of fashion and technology accomplished by the LED shirts. Related: How Do Glow Sticks Work?